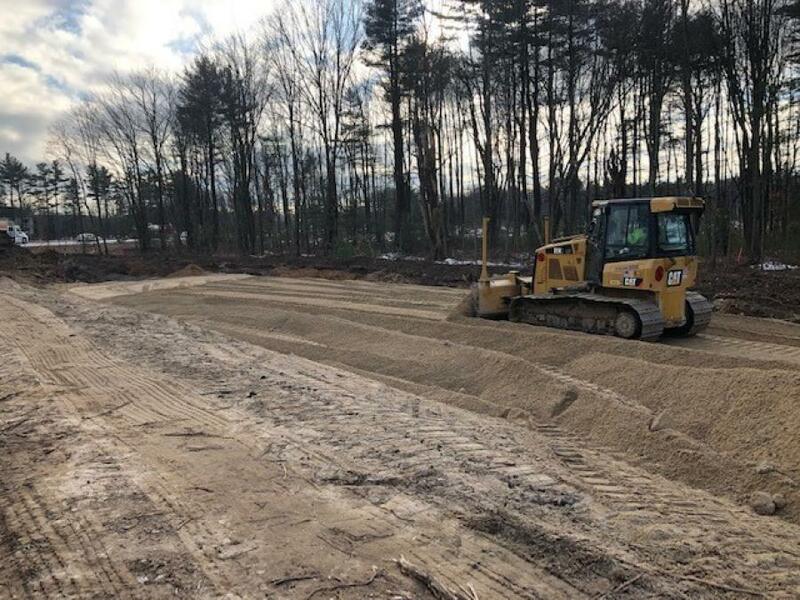 Construction to replace the Cummings Road Bridge began in early December and will be substantially complete in November 2020. 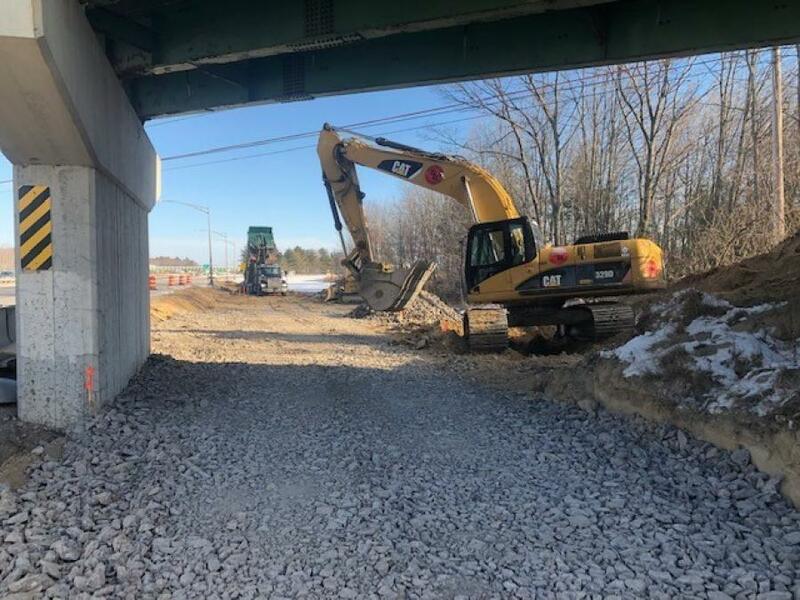 The Maine Turnpike Authority will spend approximately $14 million to replace the Cummings Road Bridge over the Maine Turnpike (I-95) in Scarborough with a three-span steel girder bridge in a project that will demolish the existing bridge while maintaining traffic throughout the project. The new bridge will support two additional lanes of traffic; provide wider shoulders; and will be raised in elevation to accommodate current vertical clearance requirements for interstate traffic below. 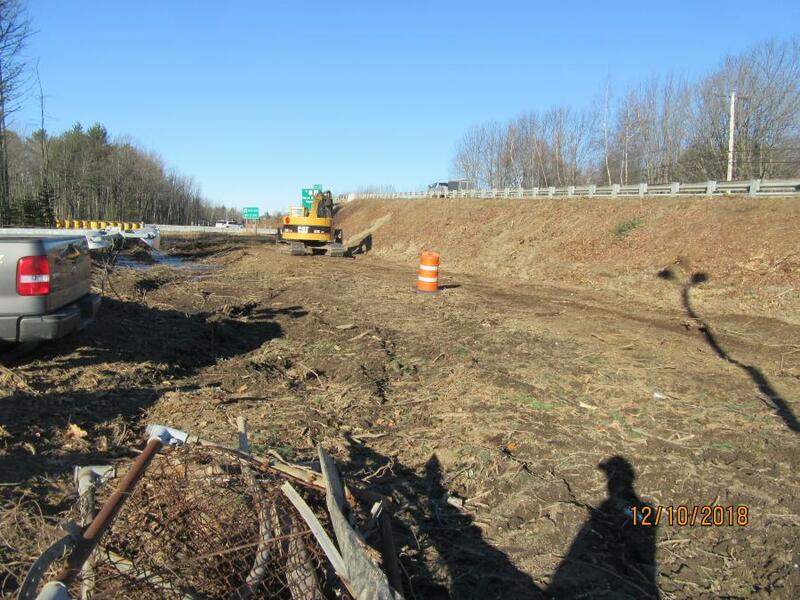 CPM Constructors is the contractor awarded the low-bid job that was designed by HNTB. Construction began in early December and will be substantially complete in November 2020. 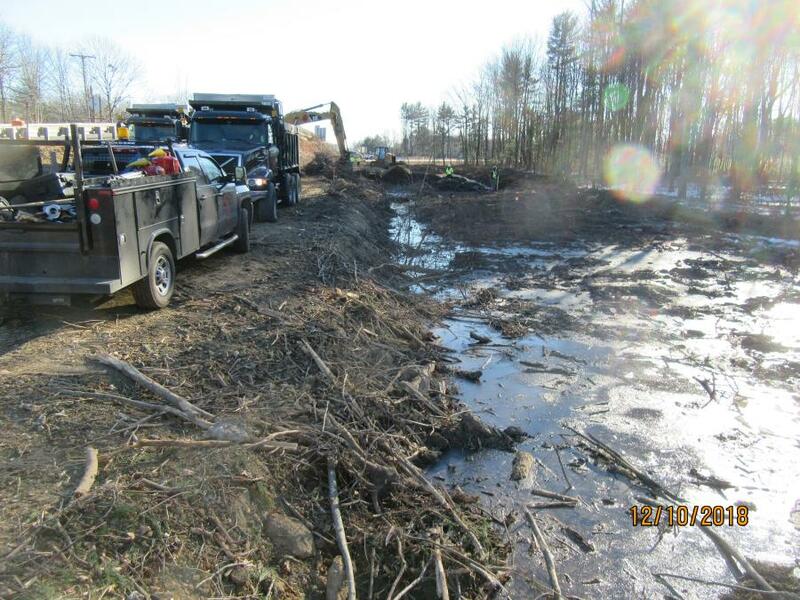 Thus far, clearing and grubbing of top soil for the first phase of the project has been completed prior to the installation of wick drains under the roadway, which will accelerate settlement on the embankment beneath the bridge, with geofoam added later to minimize any further settlement. 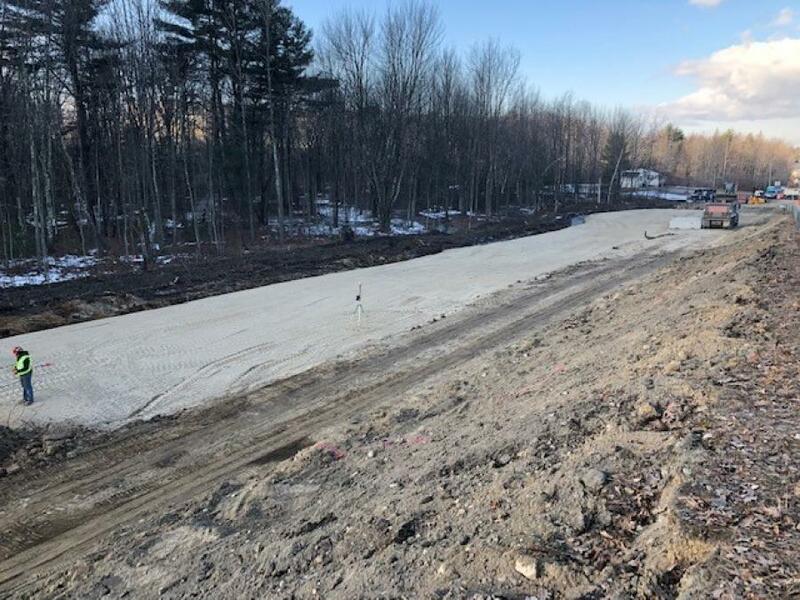 The wick drains and geofoam are being used to build on soft soil as part of the road widening project. Geofoam is used to replace compressible soil that prevents unacceptable loading on underlying soils and adjacent structures. Approximately 34.5 mi. of wick drains under the new roadway approaches will be installed, prior to loading the ground with surcharge material. It is anticipated that the surcharge will have to remain in place for six months to establish the required amount of settlement prior to removing the surcharge and installing the lightweight geofoam. 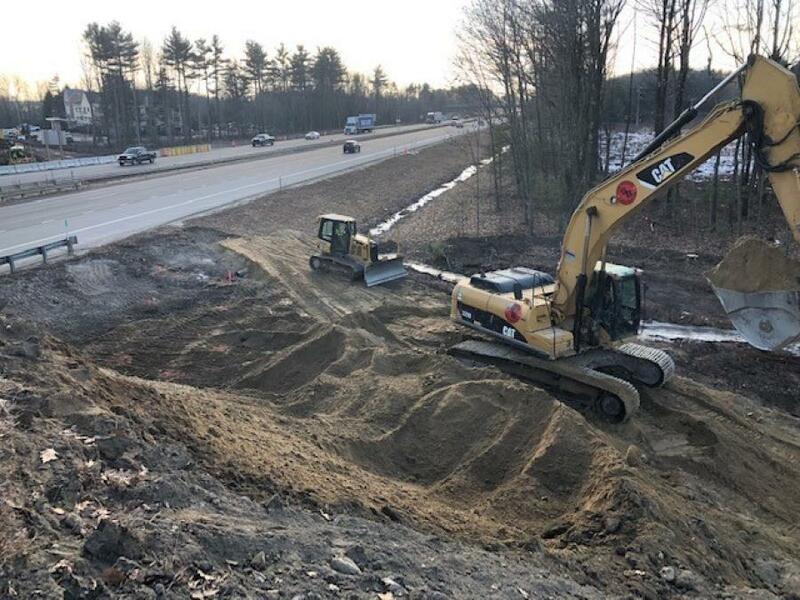 "After a geotechnical evaluation, we found a solution that used a combination of lightweight materials and wick drains, installed like straw into a clay layer, to develop a cost effective solution that allows the project to be completed quickly," said Tim Cote, HNTB's structural department manager. Andy Kittredge, vice president of CPM Constructors, said the job is a two-phase project that will ultimately widen the bridge and add two new lanes of traffic on the bridge to the south. "We'll tear down the old bridge and connect the two phases of the bridge. Demolition of the old bridge will take place late this year before phase two begins," said Kittredge. Half of the new bridge will be built during phase one of the project before the existing bridge is demolished and the second half of the new bridge is built in phase two. Concrete will be poured to connect the two portions of the bridge. Kittredge said typical bridge construction equipment will be used, including a 110-ton crane; mid-size loader; a boring rig; and a concrete mobile pump. Wick drain and geotech monitoring instruments will be used for the initial phase of the project. Cote said the design accommodates a bridge that will provide clearance for a wider turnpike that will be expanded from four lanes to six. "We are replacing the bridge to meet roadway design standards and accommodate the future of the Portland area," he said. 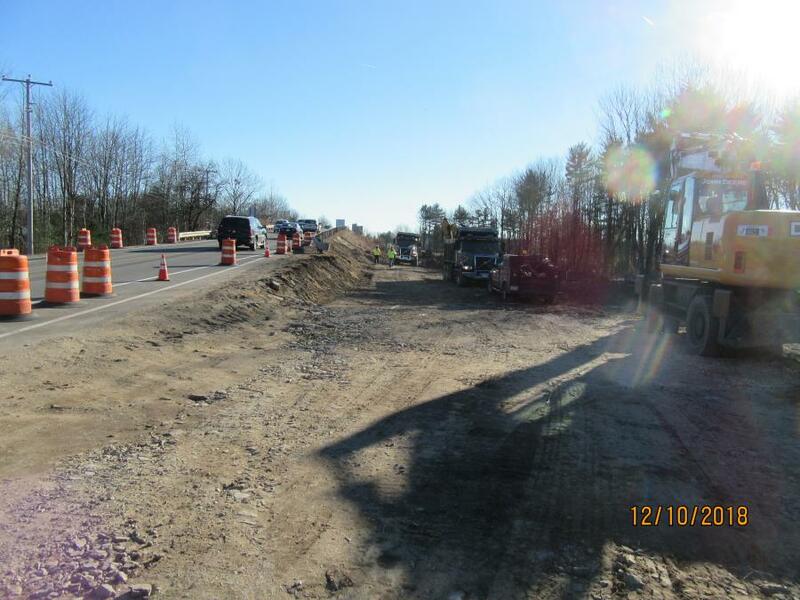 "This is one of the busiest corridors in the state and the new bridge will serve the public for the next 75 to 100 years and accommodate future traffic on the Cummings Road bridge and the Maine Turnpike the bridge crosses."